Backreaction: What are you, really? I’m not a Platonist myself, but it’s worth spending a paragraph on the misunderstanding that Holt has constructed because this isn’t the first time I’ve come across similar statements about circles and lines and so on. It is arguably true that you won’t find a perfect circle anywhere you look. Neither will you find perfectly straight lines. But the reason for this is simply that circles and perfectly straight lines are not objects that appear in the mathematical description of the world on scales that we see. Does it follow from that they don’t exist? If you want to ask the question in a sensible way, you should ask instead about something that we presently believe is fundamental: What’s an elementary particle? Is it an element of a Hilbert space? Or is it described by an element of a Hilbert space? Or, to put the question differently: Is there anything about reality that cannot be described by mathematics? If you say no to this question, then mathematical objects are just as real as particles. I don’t know if that’s actually true. Most of the physicists that I asked do not believe that reality is mathematics but rather that reality is described by mathematics. But it’s very possibly the case that the physicists in my sample have a tendency towards phenomenology and model building. Most of them see mathematics as some sort of model space that is mapped to reality. I argued in this earlier post that this is actually not the case. We never map mathematics to reality. We map a simplified system to a more complicated one, using the language of mathematics. Think of a computer simulation to predict the solar cycle. It’s a map from one system (the computer) to another system (the sun). If you do a calculation on a sheet of paper and produce some numbers that you later match with measurements, you’re likewise mapping one system (your brain) to another (your measurement), not some mathematical world to a real one. Mathematics is just a language that you use, a procedure that adds rigor and has proved useful. I don’t believe, like Max Tegmark does, that fundamentally the world is mathematics. It seems quite implausible to me that we humans should at this point in our evolution already have come up with the best way to describe nature. I used to refer to this as the “Principle of Finite Imagination”: Just because we cannot imagine it (here: something better than mathematics) doesn’t mean it doesn’t exist. I learned from Holt’s book that my Principle of Finite Imagination is more commonly known as the Philosopher’s Fallacy. Though Googling "philopher's fallacy" brings up some different variants, so maybe it's better to stick with my nomenclature. Anyway, this has been discussed since some thousand years and I have nothing really new to add. But there’s always somebody for whom these thoughts are new, as they once were for me. And so this one is for you. The article on Platonism is quite a nice way to start a discussion on a very difficult issue. ON the other hand, I think that there is a missing definitional question tha tto be put firsthand before proceeding to judgements about Platonic attitudes. Whta does Plato really meant by mentioning the "existence" of perfect mathematical objects? Should we perceived it ontologically we certainly run itno troubles similar to those of the mind/body or matter/spirit dichotomy. But there is another way to perceive such an existence, more akin to information/symbolic manipulation of nowadays computer science. If we see maths as an art more than a science, than we may recognise the infinity of psossible math games that an evolutionary higher mind can invent, including their possible limitations as exposed in the work of Goedel. Thus, re-invention of mathematical activities can be said to be a kind of "invariant" among all intelligent beings that could appear out of evolution in our galaxy or evereywhere in the universe. It is not even necessary to demand that different beings would have the same maths on everyday use. In the opposite corner of our galaxy, some intelligent race could have ended using say, π-adic calculus just becasue it is more convenient for their different senses. Nevertheless, it is true that in this more broad sense of "potentiality", mathematical activities and their perfect object do trully exist as a capacity of all minds with higher faculties beyond time and space. For me, this is a sufficient and satisfactory explanation for their "existence". Bee: "It makes perfect sense to think of time as a mathematical object itself"
It doesn't make any sense to me. How is time a mathematical object? Time is a physical process and is quite hard to define but no mathematical object I ever heard of can capture the essence of it's meaning. Actually it's remarkable how similar mathematical objects used to model time and space are and yet how extremely different time really is from space in reality. An ever changing single instant which cannot be controlled versus a 3D expanse that can be moved through freely. I'm glad you're more open-minded about Platonism than Holt is - because you understand that many of the initial obvious objections are based on confusion. Personally I like Popper's 'three worlds' scenario where the physical world emerges from the world of mathematics, the world of consciousness emerges from the physical world, and the mathematical world emerges from the world of consciousness. Let tau be a real number. Now tau is a real parameter and you can have mathematical objects depend on that parameter. Yes, you're right. I did meander from Platonism to Tegmark's mathematical universe. But let me ask you: if it would turn out that Nature is not described by mathematics but is better described by some other language, would you still believe that mathematical objects are real? You could, but wouldn't the main motivation have gotten lost? So the man see's circles. Here's another one Bee. "Is there anything about reality that cannot be described by mathematics? If you say no to this question, then mathematical objects are just as real as particles." If you say no, then **some** mathematical objects are just as real as particles. There is no way, from within mathematics alone, to know which mathematical objects these are. It is the same problem with language, say, English. It would be very laborious and boring, but all of mathematics can be written down in English. All of what we know of reality can be described in English. That does not prevent us from asking grammatically sound but meaningless questions about mathematics or the world (such as "Why does something exist instead of nothing? :) ). We need the experimental sciences to help us out. A few more quotes you might enjoy Bee. The point is that a bunch of physicists were trying to make sense of atoms and were going around in circles and tearing their hair out, until Jordan mentioned Quaternions to Pauli - and then the problem was solved with Spin. Color expands on that. The problems were solved so conclusively that there is no reason to think there is anything else involved than a mathematical pattern. We may have problems interpreting algebra, but algebra does not go away - instead physics gets more and more reliant on it. So why do we get cranked up about fuzzy words when we already know that interpretation is a big hassle ? And it is not 'all of math' anyway. It is the simplest things that are a hassle because we can not inspect electrons directly. If we could, there would be no hassle with Spin, or why the SM needs to put right handed electrons in a singlet and lefties go with doublets. It is an endless discussion because it is difficult to discern what is a convenient mathematical fiction from what Nature is actually up to. in Misner,Thorne, Wheeler there was a picture of a letter U with an eye -the universe looking at itself. A bit more succinct than Penrose. Don't step on a 10^87 crack. 10^500 empirically irrelevant universes and parity violations enlessly patched with manually inserted symmetry breakings suggest spacetime is fundamentally trace parity-odd toward matter. Mathematics is not empirical. Mathematics can model but not repair hubris. I guess all we know is that some mathematics is useful in describing reality. People like to think that, say, non-Euclidean geometries existed before humans first became convinced of their existence; they always existed, and just had to be discovered. Where did they exist however? In a Platonic world. Do things spring into existence or vanish out of existence in the Platonic world? The intuition is that they do not, what is in it always existed, and will always exist, and thus the sense of timelessness. One can meaningfully ask, however, to what extent does a computer programming language like C++ or LISP belong to the Platonic world of mathematics? a. I reject the idea that programming languages are entirely not mathematical. b. I reject the idea that C++ or LISP has always existed in some Platonic world, and were simply discovered. These languages are the product of design and choices. c. If one admits C++ or LISP into the Platonic world, one is in trouble. Why is our notion of integers or topology any more "fundamental" than C++ or LISP? Also, the notion of the timelessness of the Platonic world evaporates. d. If one does not admit C++ or LISP into the Platonic world, one runs into other troubles. E.g., I believe any algorithm can be expressed in these languages, in as precise a way as in any other notation. One might argue it is the abstract algorithm that belongs to the Platonic world and not any expression of it. Extending that idea, only the abstract notion of "set" belongs to the Platonic world, but no actual instance of set? What about the set of integers? e. We run into further troubles when we realize that more than two thousand years ago, Panini made the grammar of Sanskrit as precise as that of C++. Sanskrit, however, is a literary, not a mathematical language. f. Does the Platonic world contain only those mathematical objects about which we have no choice (of the kind Stroustrup had when he designed C++)? It is hard to make that case, because we do choose axioms; e.g., it is a choice that flips us between Euclidean and non-Euclidean geometries. Concerning Platonism, I think my views are close to Arun's if I'm reading him right. 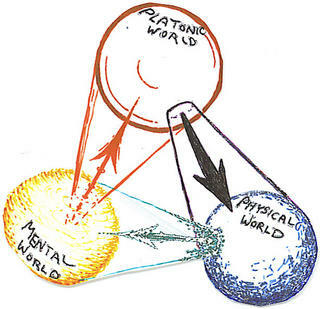 I mean if Platonism makes some mathematicians feel better about their work, good for them but to me platonic plane of existence is just useless metaphysical fluff. I can see how there may be some appeal of Platonism for simple universal ideal objects but if one takes this ideology seriously then it should also apply to all other abstract concepts. Arun mentions programming languages, but the same applies to any language, English included. Take "tree" for example, the concept doesn't refer to any particular tree but to an idealized abstract category of objects, Platonism implies that we also did not invent the concept of a tree, it must have been living in a platonic plane of existence and we simply discovered it. I don't see any justifiable criterion which would admit say spheres to the platonic realm but not trees. But the same goes for hammer, esophagus, episcopal church and every other concept in every other language. So if there is platonic plane of existence it must be filled with all possible categories, forms, meanings and relations. Does attributing existence to all this abstract junk mean anything? Not to me. Their main point is: Mathematical objects are absurd and not always logical. But they are useful anyway. "Those mathematical objects of yours (rings, groups etc.) ... do you invent them or do you discover them?" "Have they been there already or do you design them?" The fact the math can handle the time in similar way like with another quantities doesn't change the fact, that concept of time doesn't follow from Peano algebra at all. The math deals with countable objects (natural numbers aka particles) and gradients (differentials). Formal math is atemporal by its very definition. What is valid now in it remains valid for ever without any evolution - which is why the math language is used for communication of ideas, after all. BTW In this context it's not accidental, the formally thinking people are conservative if not autistic by their nature and they tend to atemporal, schematic thinking often: as a crystalline example may serve Lubos Motl, but Bee tends to similar behavior too. The autists avoid all change of established rules in their life. If I give you two mathematical problems to solve, "Riemann Hypothesis" or the "Navier–Stokes existence and smoothness" do you know the full use of these applications.....why then is their room left to figure it out? Why offer a prize if there is nothing left to consider. Of course, for example every bitmap or letter, which I can see at this page. The point is in effectiveness of description: if the description requires higher volume of information, then the object itself, it's not description anymore. When one speaks about time, one can also ask "About what time?". The time of our subjective experience - irreversible and with no future and past represented as memories? Or the geometric time of general relativity and modern physics- reversible and future and past in a similar position? If mathematical objects depend on time, the understanding /percepts about them- can depend on the subjective time - popping up to the collective mathematical consciousness and gradually polished and refined to more detailed percepts as mathematics evolves. On physics side quantum states as fundamental building bricks of objective existence looks rather attractive idea. There would be no "real physical" worlds behind their mathematical representations. They could represent the Platonia of mathematician and have a capacity to represent all internally consistent mathematical structures. This is more or less what Max Tegmark assumes. Mathematician is however lacking from this picture. Maybe mathematician could be brought in as quantum jumps between these Platonic objects. They would give rise to subjective reality -something at different ontological level than "objective realities" of Platonia. Conscious experience as re-creation, replacement of Platonic object with new one would give information about these Platonic objects. "Me" could be seen as a spotlight of attention hopping around Platonia. Independently of Platonic existence, I might mention that a 'thing' is quite real in the sense that if a person believes in a thing, then it exists damn near well enough for them to act on their conception of it. Another angle is that Mathematics is the manifestation of logic in the physical theories. It's the tool of logic if you like, which when used in the construction of physical theories, forbids any irrational constructions. Well, all good mathematicians should first know what is a number. Penrose maybe saw the difficulty when he with every number added an unknown imaginary number, so every number would be complex? This may explain the phenomenon that the sum is bigger than its part in the holographic principle? The numbers are treelike structures say Susskind. Or booklike as Matti Pitkänen says. The quantum artithmetic is also badly explored. Long time since I last commented but amazingly, this is the first time I've actually thought seriously about this question! I've since switched to a masters in applied mathematics and so my viewpoint is probably firmly entrenched in model building, since that is what I do. However it still amuses me that I haven't actually thought about this before in any serious. Although someone above mentioned whether or not mathematics is discovered or invented, a subject I sometimes think about but soon get bored -because I have no idea- and continue on. Unlike the philosophy of science or quantum mechanics (both of which I have studied in a formal sense) I've never gotten around to the philosophy of mathematics. Well wherever I stand, I certainly will have to think about it more. With (c) I was anticipating the objection that somehow integers are universal and C++ is not. E.g., every human culture has learned how to count; but only very recent ones have C++. And who knows, C++ may eventually go extinct too. So then only universal things go into the Platonic world. No, he didn't. That was my mistake when typing off his text, spell-check didn't catch it. Thanks for pointing out, I've fixed that. Mathematics: tactics of self-referential systems (e.g. the human brain) to mimic "larger" self-referential systems (from which the former are part of, namely, of nature). The tactics by itself *is* a self-referencing system— in fact, the only one which cannot entirely mimic itself (by Gödel's theorem), because it is the "larger", ultimate, self-referencing system possible. The set of the integers themselves if represented as a matrix of polynomial coefficients (coefficient -> color) is self-referential and it does not seem to suffer from Cantor's diagonal argument due to its internal self-similarity. Is this evidence tha tno more than the integers are necessary for building toy universes? Maybe. In any case I used the word "entirely" so toy universes were not on my mind. - but unprovable statements. Unless you understand that point it is worthless to debate about Platonism." Does anybody have an idea what he means by that ? There may be something of value in this blog entry? Do numbers and the other objects of mathematics enjoy a timeless existence independent of human minds, or are they the products of cerebral invention? Do we discover them, as Plato supposed and many others have believed since, or do we construct them? Does mathematics constitute a universal language that in principle would permit human beings to communicate with extraterrestrial civilizations elsewhere in the universe, or is it merely an earthly language that owes its accidental existence to the peculiar evolution of neuronal networks in our brains? Does the physical world actually obey mathematical laws, or does it seem to conform to them simply because physicists have increasingly been able to make mathematical sense of it? Jean-Pierre Changeux, an internationally renowned neurobiologist, and Alain Connes, one of the most eminent living mathematicians, find themselves deeply divided by these questions. With regard to Alain Connes statement, could it possibly mean that once you get to "this point" where do you draw from in experience? Was it written somewhere in nothing land? So it is an exercise in logic reduction to "make available" an opportunity to the resources from which all mathematical information can be drawn? It's out there somewhere, not in nothing. Yves Girard, cited by him. you're right, one should try to find the answer in the book. I had already a quick look at it but couldn't find the respective passage. It seems to me that it is a very unconventional book about logic and to understand it one has to read it from the beginning. Hope I'll find the time. I think your comments point in the right direction. On p. 5-7 A.C. explains in more detail the difference between mathematical "truth" and provability. I wonder if this is related to the issue of "non-computability" of the human mind, put forward by Roger Penrose. Is this why we humans can do mathematics whereas a computer cannot ? Joel:I wonder if this is related to the issue of "non-computability" of the human mind, put forward by Roger Penrose. Is this why we humans can do mathematics whereas a computer cannot ? There are some interesting quotes here in following article that come real close to what is implied by that difference. You raised a question that has always been a troubling one for me. On a general level how could such views have been arrived at that would allow one to access such a mathematical world? The idea being that to get to the truth one had to turn inside and find the very roots of all thought in some geometrical form. The closer to that truth, the very understanding and schematics drawn in that form. Not all can say the search for such truth resides within? Why the need for such geometry in relativism? Riemann Hypothesis as a function of reality? Why has a computer not solved it? My views were always general as to what we may have hoped to create in some kind of machine or mechanism. I just couldn't see this functionality in relation to the human brain as 1's and 0's. I might say it never occurred to me the depth that it has occupied Penrose's Mind. The start of your question and the related perspectives of the authors revealed in the following discourse have raised a wide impact of views that seek to exemplify what is new to me as to what you are asking. Yet the real world has made major advancements in terms of digital physics and hyper physics. Has any of this touched the the nature of consciousness. This would then lead to Penrose angle in relation to what consciousness is capable of and what a machine is capable of. That would be my guess. It see great similarities in the thinkings of some of the deepest thinkers like Gödel, Von Neumann, Penrose, Connes etc., saying sth. like there had to be a reality/truth beyond finite formal systems, the latter only approximating it. I think one must take them very serious (if one likes this idea or not) and it should be worth further ponderings! You raise several questions, that circulate in by brain since many years and where I do not have a (definite) answer. The only way I can make sense out of it is to assume that quantum physics is a mathematical reality beyond space and time. If this is so, the step from physics to Platonism is not a too big one for me any more. "One might ponder....as to how all things come from nothing? :)"
Not surprisingly, this does not follow for me. It would seem a matter of mental hygiene for one to be able to distinguish between what is real and what is an artifact of cognitive abstraction. In general one could make that distinction by saying that real things have a kind of pulse, an energetic regimen, the amplitude of which is negatively correlated to the level of abstraction. I was hoping the applicability of the 2nd law of thermodynamics would serve a litmus test for distinguishing between the real and the Platonic events, but apparently it is less of a clear beacon at the quantum level. In any case, nature has normative pathways in which energy makes transitions and we map them as the laws of physics. Even if we can only characterize these pathways via probabilities surely there remains a distinction between those pathways and our mapping of them. Of course, I could well be missing the deeper discussion here. The issue is of where the information exits, if it can exist at all. Planck length measure reveals the issue of "what geometry" can explain it....yet such a foundation asks that the Higg's mass is defining here as to what details the matter assigned to it? Where did such schematics come from? Tegmark believes in an extreme form of Platonism, the idea that mathematical objects exist in a sort of universe of their own. Imagine that, Tegmark says, “there’s this museum in this Platonic math space that has these mathematical objects that exists outside of space and time,” Tegmark says. “What I’m saying is that their existence is exactly the same as a physical existence, and our universe is one of these guys in the museum.”Wigner’s Gift Horse By JULIE REHMEYER • Feb 1, 2008 See here for article. Bateson offered the tidy definition of information as "a difference which makes a difference." If we make that “measurable difference” will that serve to roughly characterize our sense of physical information? Further, if can we accept as a first axiom David Bohm’s notion that the universe is one, undivided and entire, then it follows that any “difference” would arise topologically, be in the nature of a fold rather than in some distinction of a fundamental nature. If we can imagine, as Tegmark suggests, that, “there’s this museum in this Platonic math space that has these mathematical objects that exists outside of space and time,” may we also imagine a mythical universe that creates its first difference by somehow folding upon itself? Within our imaginary realm, we could refer to these two, folded manifestations of the whole as the Traveler and the Terrain. We might find that they are endlessly entwined but never consummate in touch because they are star-crossed, laid topologically cross-grained, one to the other. We can never know either of them directly, but only the paths that emerge between them. This is because we live nested within the entwinement of these paths and they are all we are given to know. We find that if we follow a path that approaches too close to either the Traveler or the Terrain, then part of our measurement of that path dilates, spreads across the surface of its compliment and becomes indeterminate. Nevertheless, we are able to study the nature of many paths and find that they exhibit similar iconic forms Can we say more than this or is it simply the nature of things in our imaginary universe? "Not surprisingly, this does not follow for me. It would seem a matter of mental hygiene for one to be able to distinguish between what is real and what is an artifact of cognitive abstraction." So then, what do you think about people doing quantum cosmology, assuming that spacetime comes about through a quantum fluctuation, implicitly assuming that quantum physics is already there but not spacetime. "...yet such a foundation asks that the Higg's mass is defining here"
The Higgs is yet another gauge symmetry, yet one of a discrete noncommutative space. (Thus again, GEOMETRY). For details, see Conne's noncommutative standard model. Alexander Vilekin is well groomed and gives the impression of having a very tidy mind, like someone it would be a pleasure to talk with, ask questions of. He makes an easy to follow, plausible case for the universe arising from some grand quantum fluctuation. I appreciate physics at the storybook level. Still, considering his metaphor of a bubble, there is a tension implicit in that image, the impression of an expansion dynamically mediated by a constraint. What is the nature of this tension and how does it arise? Would you consider it possible that, preparatory to the emergence of space-time, we might find the dynamic frisson of quantum fluctuations arising between the “surfaces” of some underlying topological polarity? What is the price one pays for dealing with Noncommutative Geometry? Probably the most significant one is that the concept of space (understood as a set of points) is lost and can no longer visualize the objects we are dealing with. This is not new in physics: quantum mechanics has taught us to deal with the phase space, which cannot be imagined as a manifold. However, since here one wants to do geometry this lost intuition is somehow worrying. What is closely connected with this point is that there is no obvious guiding principle, which would tell us which objects are "good" or "relevant" - in the "spatial" geometry the intuition was often a key, here, Noncommutative Geometry is like entering a new, partially unknown land. Of course, does this suggest that we are in need of a new intuition? Why Noncommutative Geometry? I think you brought up a particularly good point. Intuition plays an important part in physics because it is a subject that deals with the intersection of abstract ideas and mathematics. But you still need to be able to visualize in your mind what you are working on even if you cannot see with the five senses what you are working on. Many scientists have become disconnected from the intuition required to make progress in physics. Many of these people don't even know they have become disconnected from intuition and it shows up in wild suppositions disconnected from physical data. Many of the physicists that have made the biggest advances in the past were working closely with experimental evidence that gently prodded them from going off track. They were lulled into thinking they had innately good intuition because they were kicked when their analysis diagreed with the data. Now many, not all, of these award winning physicists have gone off track and led the rest of the community with them. It is because they were overconfident and overestimated their intuition based on previous success when they had a lot of phenomenological data that gave them good feedback. One further thought on noncommutative geometry and why it is associated with tiny spaces and objects only. Gravitationally significant objects occupy a significant volume of space. This is because the G force is ~ 10^-42 smaller than the strong force. You can measure most effects of gravity without deforming the space around it by measuring it. There is no such thing happening with the three other forces. To get any good local knowledge of any of their fields one must physically deform the field just to measure it. However, when you measure gravity the energy required to measure it (not quantum gravity) is infinitesimal compared to the object you are measuring. Thus the gravitational field is not deformed during measurement and is a commutative measurement, I.e. It behaves classically. very nice statement. I fully agree. I share your scepticism and can't give you an answer to your question. "One field of work in which there has been too much speculation is cosmology. There are very few hard facts to go on but theoretical workers have been busy constructing various models for the universe based on any assumptions that they fancy. These models are probably all wrong." In the clip on intuition he clearly make the case that there are realms, which are only accurately accessible through mathematics. Still, I wonder if features of quantum processes manage to eddy upward to the tangible surface of everyday experience. It’s a matter observing it. After all, John Scott Russell first observed the dynamics of the soliton while on horseback. Reading and hearing about Richard Feynman is what got me Interested in physics 25 years ago. Particularly his thoughts on the quantum world. It was just too fantastic to not be fascinating. Also, I concurred with his belief that the quantum world is unvisualizable. However, as charismatic as he was and is he was only a human being. A human being with his own prejudices and preconceived notions. In other words, my thoughts on the quantum world has evolved over the 25 years when I first read about the quantum world through reading about Feynman. It is best not to get locked into one mans view of how to look at the world, or a portion of the world. "It is best not to get locked into one mans view of how to look at the world, or a portion of the world." Make that ANY one man's view, most definitely including my view of how things work. Of course, we are all human, we are all limited. Tegmark is 100% correct because my theory "quantum statistical automata" proves it. Reality exists hence we say it is true. But what is really true besides that more than anything else which we can really trust, it is mathematical facts. So, to my mind I connect both since both seem to be a statement of truth. So I took a guess that reality is something akin to a circle (truth). The relations between the points give you a mathematical structure whereby you get PI which defines the structure of the circle. the structure that leads to our reality is random numbers and certain unavoidable relations(and only possible ones) between them. that is all.It is the most generalized structure possible. The mass of the electron pops from the system among many other standard physics results. Once you understand it, it will become clear to you that it could not have been otherwise. very interesting. I am not shure I understand what you are doing. "Set a constraint with a particular relation between "l", "p", and "li" such that if this relation holds. What determines "A CONSTRAINT" ? Couldn't it be that you have just come up with the right Monte Carlo algorithm for the discretized Schrödinger equation. In other words, changing the constraint you could emulate any equation? It would be interesting to see how to get solutions to the Dirac equation this way. Thank you for your interest. Your Question about the constraint is at the heart of the system. The system (I will not use the word model although you could with some caution) seems to mimic reality by exposing some of the very important essential features of Schrodinger equation, Dirac equation, QFT and Gravity! But only certain essential features of these theories, probably some heavy work and more elaborate simulations needed to map to the of standard physics. I will elaborate about the constraints a bit later. On the other hand the system exposes features of reality that standard physics is simply in no position to do so. Particularly, the Lagrangian of the system falls out from the simulation and you get the values of charge, mass, c, h_bar and other values, even the Fine Structure Constant. Not to mention the beautiful unified picture of space (its points are the crossing of the lines-dynamic-), time(change of state-does not actually exist-), mass, charge, and energy. It is just the nature of the system that suggests to you right away this constraint that I use to mimic the Schrodinger equation and in other situation and gives good results. To be honest I don’t know why it works and that is going to be the subject of investigation. Moreover, another even more useful constraint I use (the simplest) goes to produce all the results of QFT and that is to assume a particle width with uniform random distribution( also should be subject of investigation). This produces the 1/r law with Zee in his book calls the triumph of the 20th century physics. Also many other results listed in the website, and some other staggering results concerning the proton that I have not documented. The other really big result which I obtain is the essence of Dirac equation included the notorious non-locality. When I try to simulate the 2D situation, I am forced to restrict my line throwing activity to only lines that can go between particles directly so as to keep the invariance of quantities calculated in case the frame is rotated. And Wala, I get two particles to interact through their width in the second axis and it does not matter if each is on the other side of the universe, they are both linked!!!! When I calculate spin (what I believe to be) one is up the other down. There are many other things in the system which I have not tried to do too much yet mainly due to lack of time including gravity which I have done in limited way and I do get the small attractive force but probably much more work is needed. I have answered you question regarding “any function” at length in the website but I will elaborate if you insist. I should mention that the theory is at heart a generalization of Buffon’s needle which ties to many other concepts which are used in high end physics like twisters and others. You can email for more information and I will help anyone who wants to run those programs and maybe you can come up with your own, it is relatively easy. I like to add an amendment to my last post. You compatriot Dr. Christoph Schiller (you can find him at motionmountain) has come up with a theory that essentially boils down to mine. His is a sort of phenomenological in nature (I don’t agree with everything he says), mine is more concrete. Still the two pictures are complimentary. Also, my model has also a hint of the standard model but I leave that for later discussions. Also while the system looks instantaneous and action at distance but it also carries a non-instantaneous signal to express the interaction event at the same time. Getting back to your thesis about not being able to depend on intuition for QFT. You are hiding an assumption that you haven't recognized. You are assuming everyone's intuition is equal. This was the hidden assumption that Feynman overlooked. He was a mathematically oriented physicist and was biased to the toolkit he had in his possession, mathematics. Many others that are mathematically oriented do the same. This is another case of confirmation bias where mathematically, highly trained physicists cannot believe that there is not another way of "seeing". I would argue that Einstein earlier in his career was using his intuition to guide to guide him and using mathematics merely to corroborate that intuition. He was not wrong in doing that and I'm confident his theory of gravitation will eventually be just the limiting case in a broader theory that combines both quantum and classical aspects. 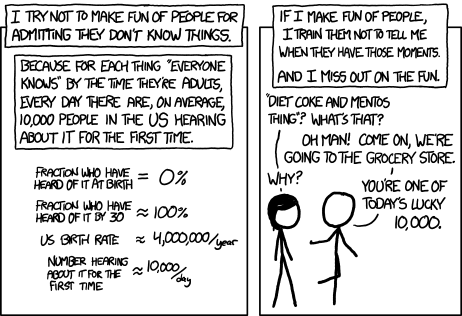 Don't depreciate people with good intuition just because mathematics isn't their primary thing. I certainly don't depreciate people with better mathematics skills than I have just because that is not my gift. Like I said, believing totally in Feynman's non visual aspect of qft is an example of confirmation bias. thanks for your explicit responses. I have to think about what you are saying but am currently just lacking time. Hope to come back to this blog soon. you may be right, it is a matter of bias. But being a trained mathematician and physicist does it then make sense to discuss this matter at all with me ? Yes I do believe that mathematics is crucial in understanding the world, and I would like to give you some great quotes that stress this, but unfortunately they are by people in the field (you see I am biased) and so, would you give any credit to them? "I would argue that Einstein earlier in his career was using his intuition to guide to guide him and using mathematics merely to corroborate that intuition." Yes, that is exactly how science works. First the intuition, the idea and then making it rigorous by means of the tools of trade of mathematics ("shut up an calculate" :-)). Actually most of the ideas (even seemingly beautiful ones) fail to work out (a remark by Wilczek - Nobel price winner - by the way). I think that mathematics being fundamental to reality is virtually beyond dispute. There are countless examples of pure mathematical discoveries being linked to reality decades or centuries later. In a recent post on this blog, the article mentions the aharonov-bohm effect, which seems to show that potential fields (seemingly mathematical constructions) are in some essence real. And those that suggest it needs to be in a platonic realm are perhaps making things more difficult than they need to be. Our universe is, as Tegmark suggests, the mathematical world. I want the physicists to seriously question how they can believe in point particles, which may be made of tiny vibrating strings of energy (well what the hell is that exactly), which seem to boil down to abstract mathematical relations at the bottom, and still hold on to the fact that at some deep level the universe itself doesn't simply boil down to math and logic. I want to stress that this doesn't need to be mystical or religious at all, but I feel like some scientist's get scared because of the religious overtones the word "Platonism" induces. If humans didn't exist, the fundamental relationships that mathematics reveals would obviously still be real. As a supporter of the mathematical universe hypothesis, is it possible to look at my theory a bit in more detail and give me your opinion. I cannot give you a direct link since Bee is against that but I will give you my email in case you are interested. Thanks. Perhaps it is my flat-footed lack of imagination, but the notion that mathematics is primal seems akin to putting the cart before the horse. More formally, it is an example of the fallacy of affirming the consequent. Just because we are in awe of our mathematics’ ability to mirror the dynamics of the real world it does not necessarily follow that the real world is driven by those mathematics. While the real world is by its very nature “energos” (active, at work), mathematics is animated by the human mind. Or, so it seems to me.